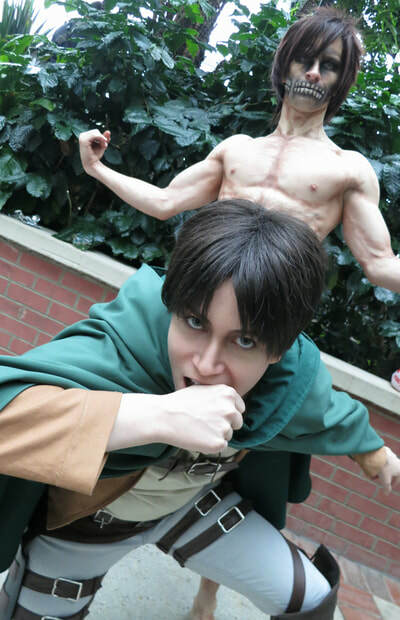 After just one episode of Attack on Titan, I became utterly and embarrassingly hooked. I loved everything about the story, especially Eren. 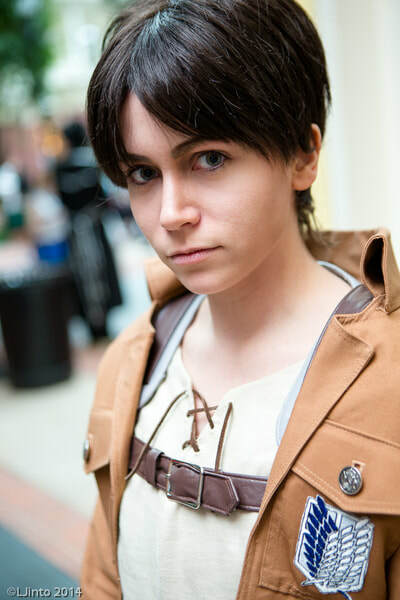 When choosing characters to cosplay, I usually gravitate towards the sweet female characters but in this case, I was dead set on cosplaying Eren. 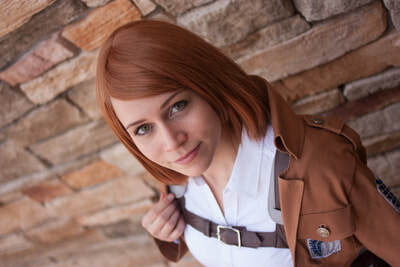 I later went on to cosplay Petra as well! 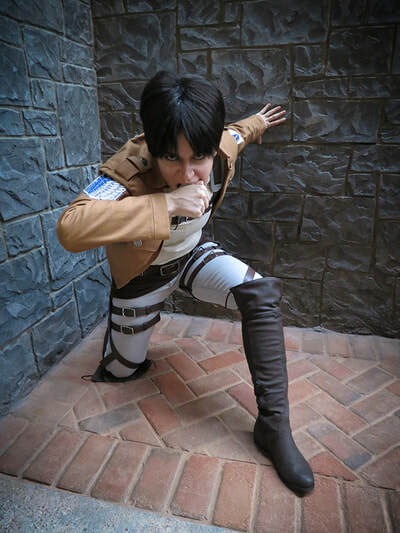 I started my costume in 2013 and completed it over the span of several months. The jacket is Tobacco colored twill from JoAnn, and was made using a Kwik Sew pattern with only a few modifications (the length, and adjusting the lapels). Patches were from Seraphita on Etsy. 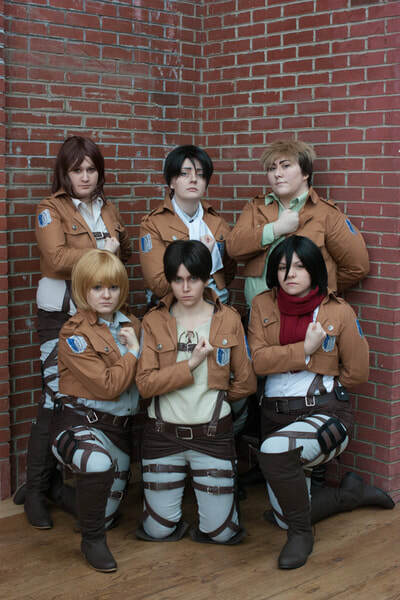 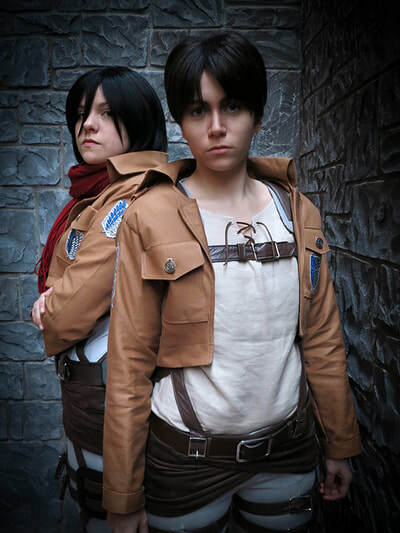 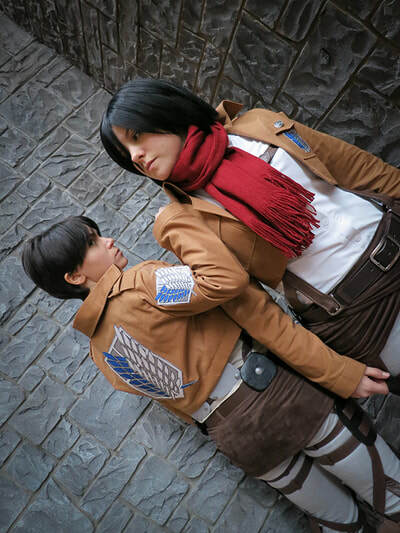 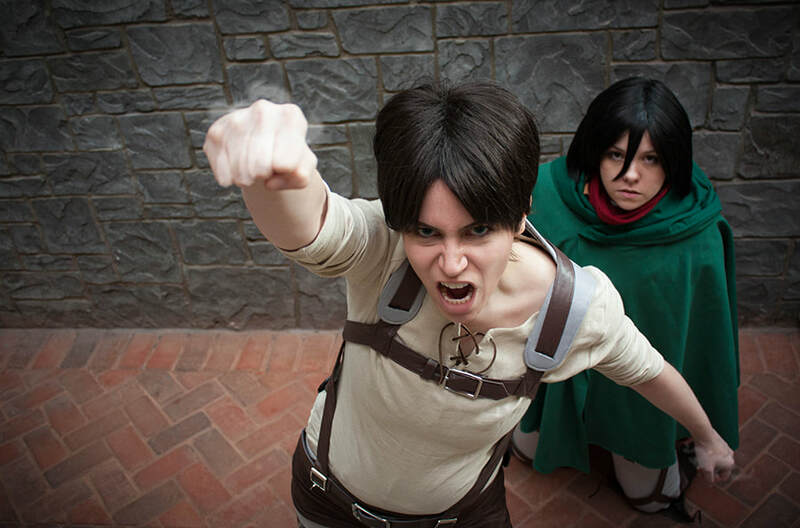 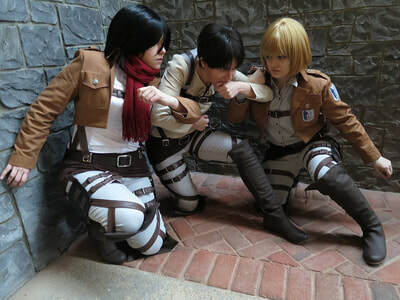 My Eren shirt was made from a thick linen with shoulder pads installed to create a manlier silhouette, my Petra and Armin shirts were purchased/borrowed. The pants were purchased from Aeropostale and are grey-wash skinny jeans. 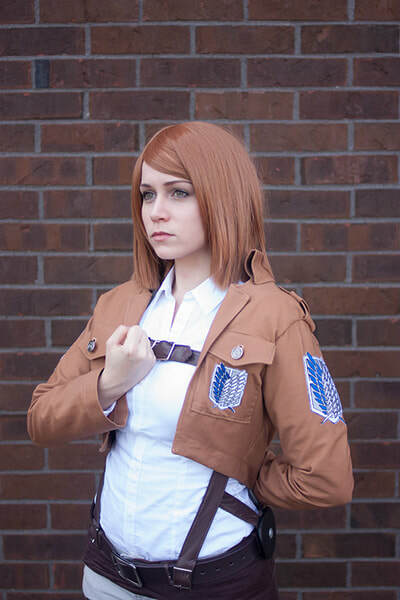 I replaced all of the belt loops with brown elastic, to help my belt blend in more. 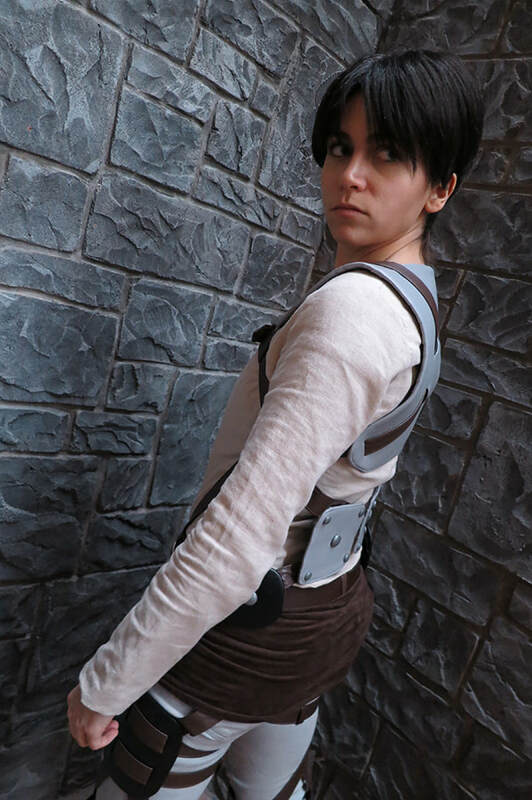 The brown hip-wrap piece is made from a stretch microsuede from JoAnn, and is permanently sewn together with slits for my belt loops to come through -- this helps hold the wrap, and other pieces of my harness in place by anchoring it to the pants. 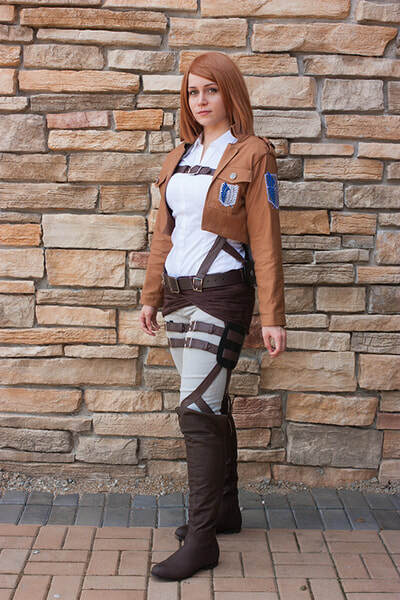 The boots were purchased from GoJane.com (no longer available) and modified to more closely resemble the uniform. 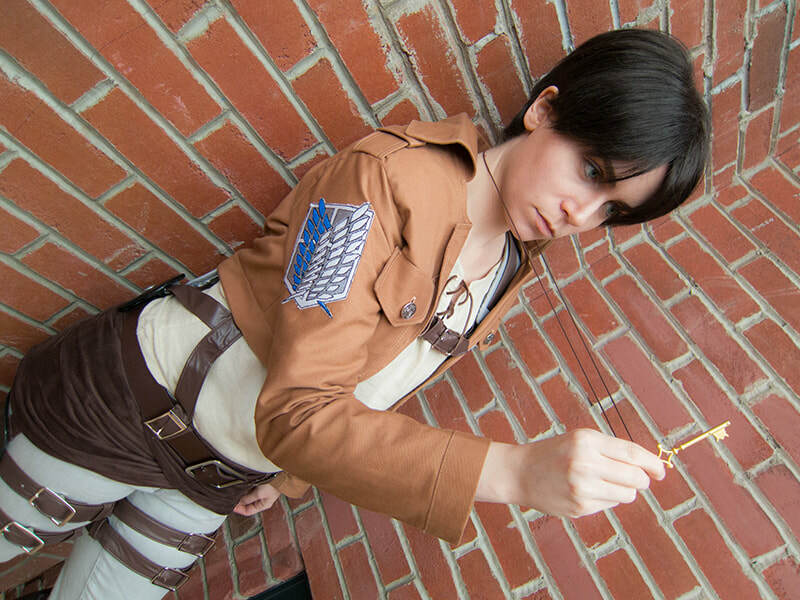 Now, the biggest part of this costume -- the harness. 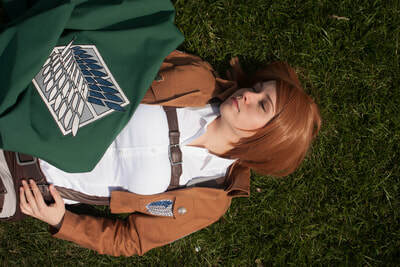 All of the straps were made by hand, folding JoAnn signature vinyl around strips of duck cloth, and top-stitching them. Buckles are from Tandy Leather and ebay. The grey and black pieces are made from craft foam, covered in vinyl, and secure to the harness straps either through loops on the back, or slits in the craft foam. The only piece of the harness I did not make, was the main belt around the waist -- this was purchased on eBay. If you want a good idea of how this harness functions and what it's like to put it on, you can see it in action on my Youtube channel. Sumikins made the cloak for me as a surprise gift! 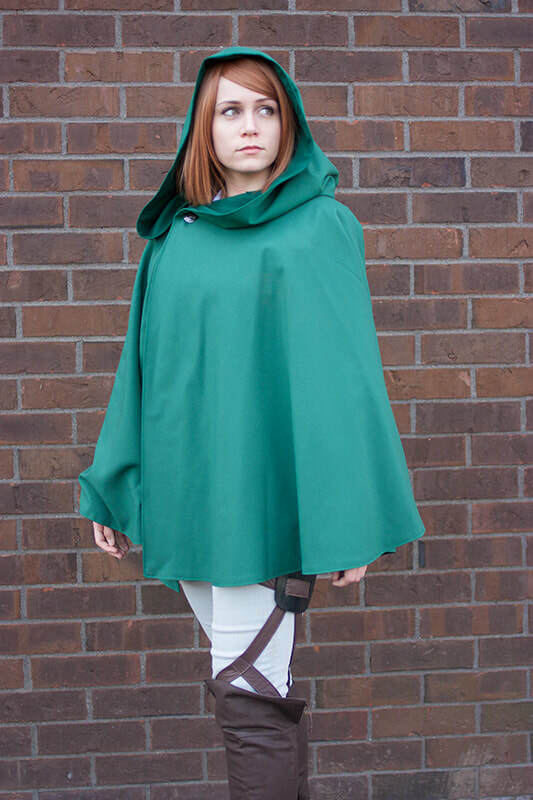 Sumikins ALSO wrote up this entire costume description, which I lazily pulled directly from her website here.